THE battle for the country’s most coveted crowns begins as Binibining Pilipinas announced the official candidates for its 56th edition. Among the 89 applicants, only 40 binibinis passed the screening process headed by Binibining Pilipinas Charities Inc. (BPCI) chairperson Stella Araneta and the reigning queens of the pageant. Three of the 40 hopefuls are Cebuanas. 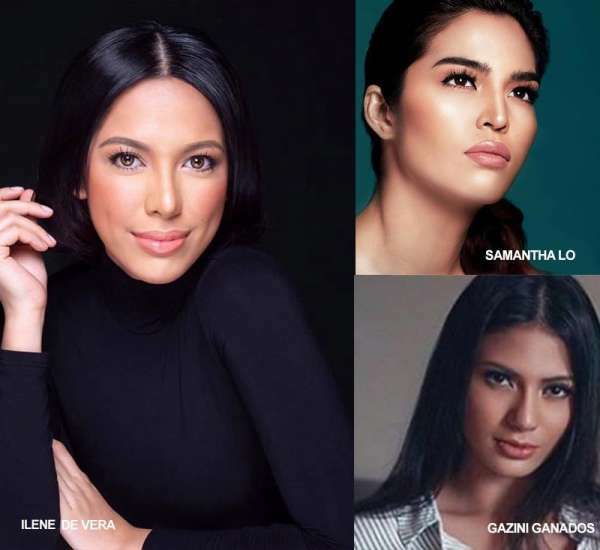 Ilene de Vera, Gazini Ganados and Samantha Lo want to represent the Philippines in the international beauty pageants. Gazini Ganados is not a newbie in pageants. She had competed in numerous beauty pageants such as Miss Cesafi 2016 (winner), Miss Bohol 2017 (first runner-up), Reyna ng Aliwan 2015 (second runner-up) and Miss World Philippines 2014 (Top 15). Ilene de Vera, a Mass Communication graduate of the University of the Philippines Cebu, is also competing in the pageant. De Vera was crowned Mutya ng Pilipinas Asia Pacific International 2017 and was fourth runner-up in Miss Asia Pacific International 2017. “Honestly looking for the ‘slow-motion’ button in my life because I just want to enjoy each single moment of this journey. Now I can finally say, ‘once a Binibini, always a Binibini.’” she said in a post on Facebook. Binibining Cebu Tourism 2017 Samantha Ashley Lo will also vie for this year’s crown. Lo, who is from Cebu City, won the Best Model of the World Philippines 2018 and represented the country in Istanbul, Turkey. Binibining Pilipinas is her fifth pageant after Miss Mandaue 2017, Binibining Cebu 2017, GLAM Philippines 2018 and Best Model of the World 2018. Malka Shaver, a Mass Communications graduate from Siliman University, will also compete. Shaver is from Dumaguete City but was active in the pageant scene in Cebu. She was crowned Miss Dumaguete 2014 and Miss Mandaue 2016. She was also part of the Top 12 in the first Binibining Cebu. Shaver was the first runner-up in the Miss Manila 2018 pageant.